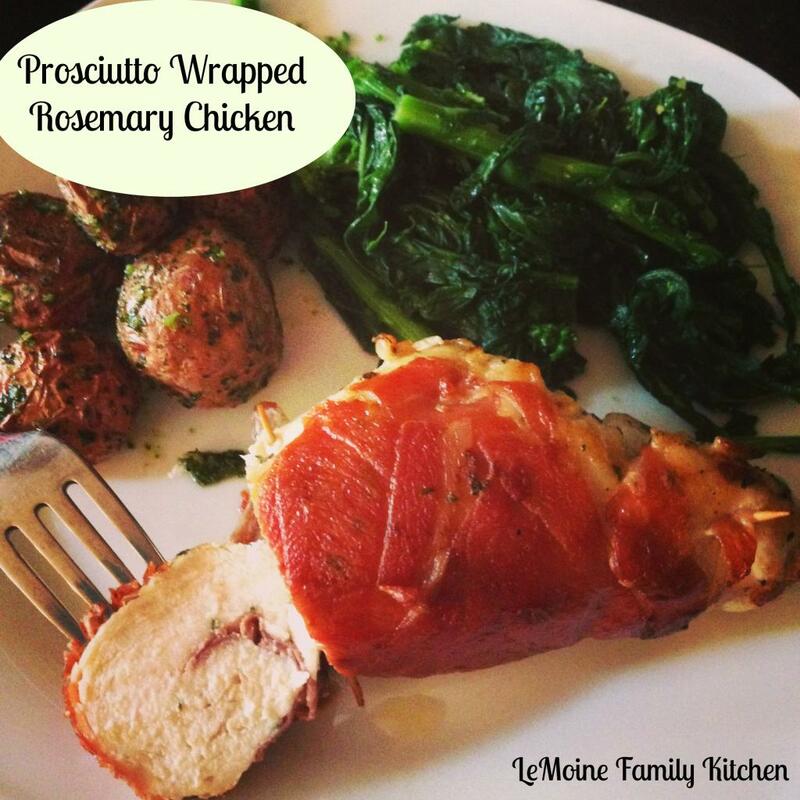 A super easy and flavor packed dish, Prosciutto Wrapped Rosemary Chicken. Serve along with your favorite veggie or salad for a perfect meal. This is a WOW chicken dish!!! 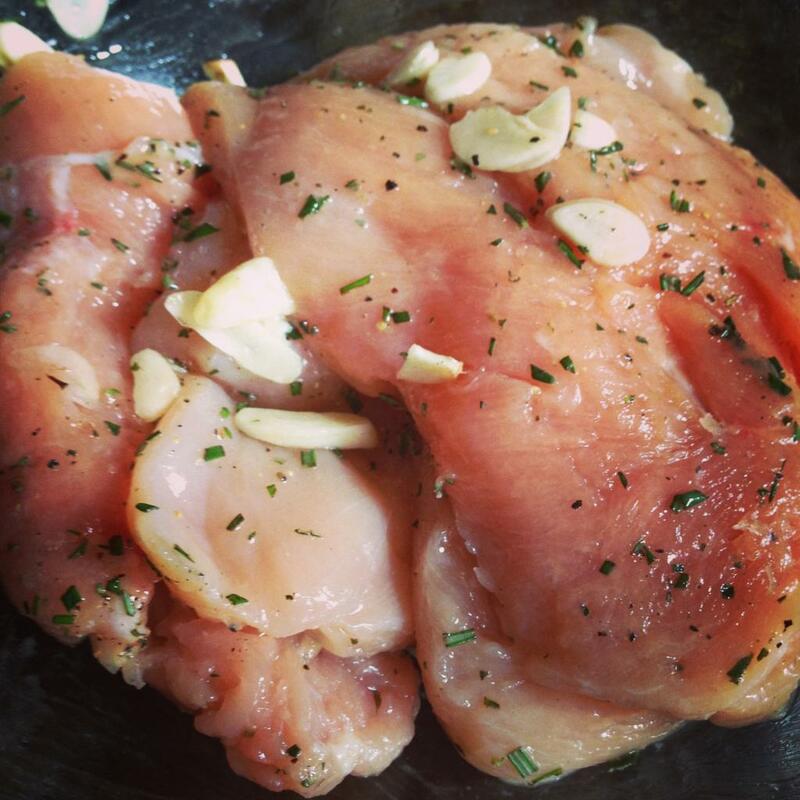 The chicken is tossed with a little olive oil, fresh rosemary, salt, pepper & garlic. 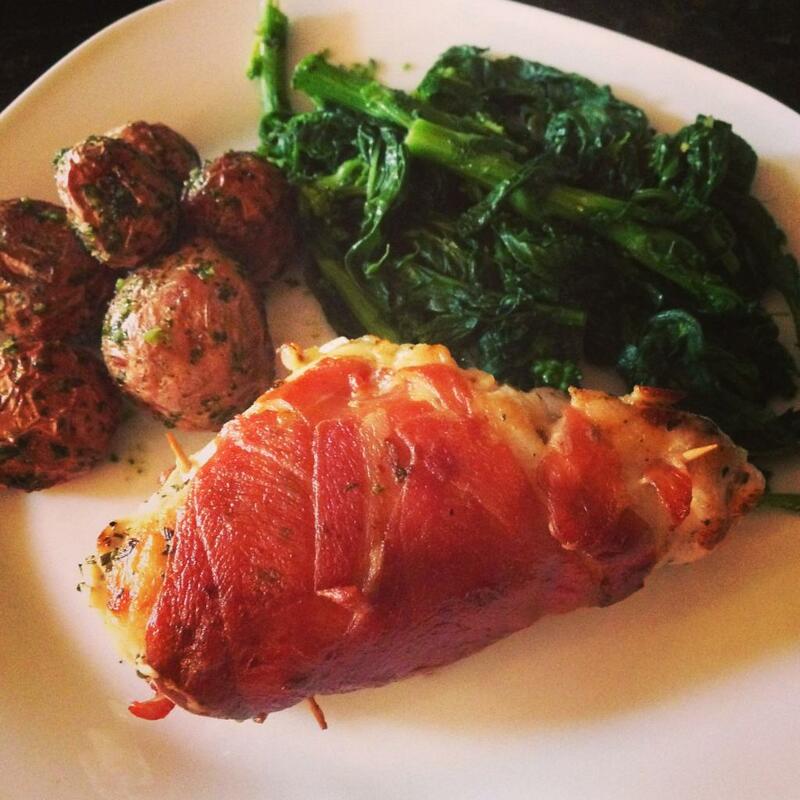 If thats not enough, the chicken is then wrapped in the fabulous prosciutto!! Prosciutto is one of those things that immediately brings me to think of family, holidays and our honeymoon time in Italy! It makes for a wonderful crisp bite wrapped around a juicy piece of chicken! This has become one of my favorite ways to serve chicken! On the side I served roasted potatoes and broccoli rabe on the side. Toss together in a bowl the chicken, rosemary, garlic and a little bit of salt and pepper. Cover and refrigerate for an hour. On a clean surface, lay a couple slice of prosciutto down. 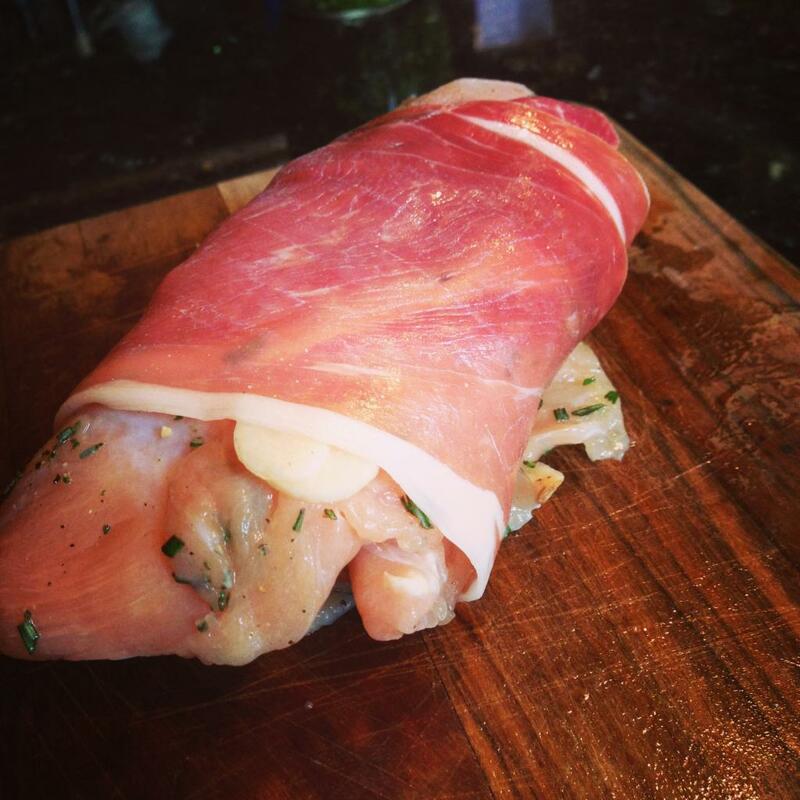 Lay the chicken on top of the prosciutto. Roll up so the majority of the prosciutto is on the outside of the chicken. Secure the chicken closed with a few toothpicks. Repeat with all the chicken. Heat up a large sauté pan over medium high heat. Add in a few drizzles of olive oil. 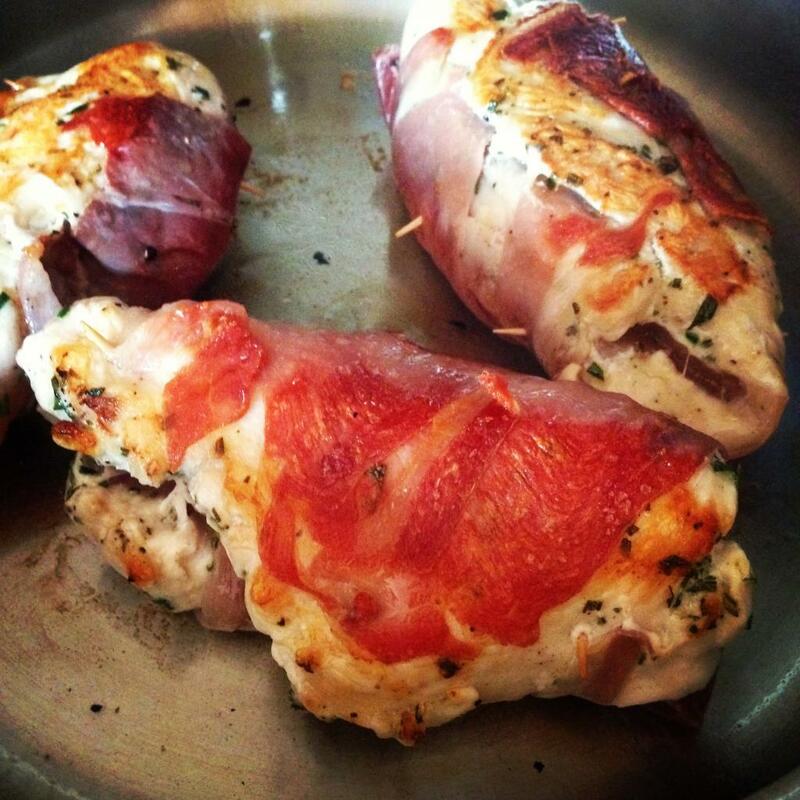 Place the wrapped chicken breasts into the pan (do not overcrowd the pan) and brown on each side. If your sauté pan is oven safe you can pop the pan right into the oven for about 4-6 minutes or until the juices run clear. If the pan isn’t oven safe, place the chicken onto a baking sheet. The time will depend on the thickness of the chicken, if you aren’t sure how to tell when cooked through test with a meat thermometer. I love this recipe! I love cooking with prosciutto. Thanks for sharing!